DENVER, May 23, 2017 /PRNewswire/ -- TeleTech Holdings, Inc. (NASDAQ: TeleTech), a leading global provider of customer experience, engagement and growth solutions delivered through a proprietary end-to-end customer engagement as a service offering, today announced that Chief Technology Officer (CTO), Henry Truong, will present during the 14th Annual MIT Sloan CIO Symposium. As part of "Putting AI to Work," a panel discussion moderated by Joi Ito, Director & MIT Professor of the Practice for MIT Media Lab, Seth Earley of Earley Information Science and Henry Truong will share perspectives on the hybrid customer experience associate and how AI augments their capabilities through the evolution of Natural Learning Computing and Machine Learning Technology working together. Additionally, Truong will demonstrate how to use AI to manage digital assistance domain knowledge and continuously learn from human experts. "Innovative companies today are integrating AI into the customer experience to drive measurable results," says Truong. "By taking the best learnings from human experts and applying thoughtful automation at the appropriate stages of the customer journey, engaging experiences are provided through the hybrid customer experience associate." 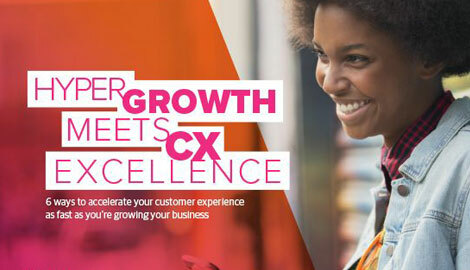 Learn more about how CX experts are balancing automation with the human touch in creating engaging and satisfying customer experiences in this month's issue of the TeleTech Dialogue eNewsletter.